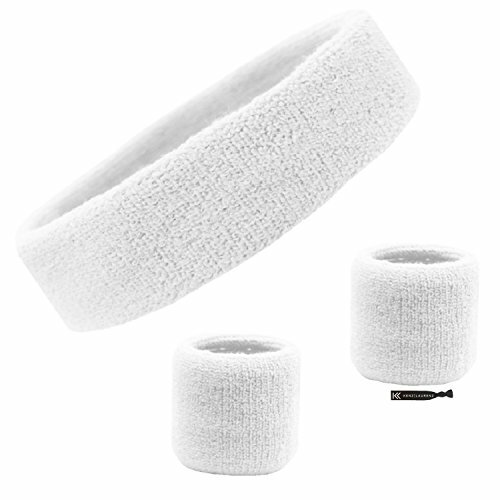 Kenz Laurenz Cotton Sweatband Wristbands and Headbands are designed with you in mind here in the USA. 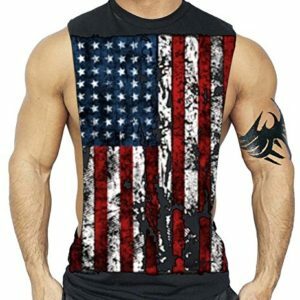 Perfect for Men, Women, Girls, Boys and Teens. These headbands are made of a Thick High Quality Cotton Elastic Blend. High Quality Cotton is Soft but Strong. This breathable, natural fiber is moisture wicking and sweat absorbing, keeping your head cool. High Tech Performance fabric allows the headband a soft stretch for the perfect fit and provides a comfortable feeling. The Kenz Laurenz Sweatband Set Terry Cotton Sports Headbands Sweat Absorbent Head Band and Wristbands are designed with you in mind here in the USA. 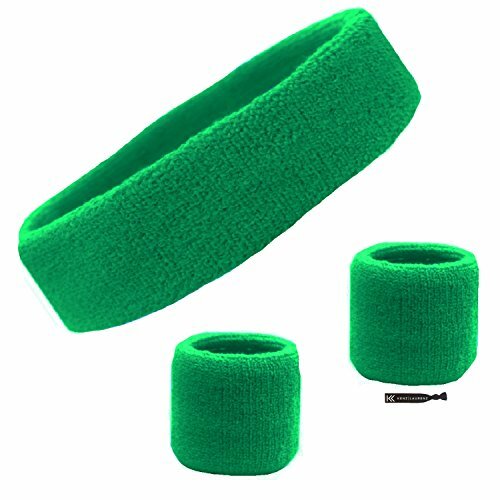 These headbands Wristbands are made of a High Quality Cotton Elastic Blend. Soft but Strong. This breathable, natural fiber is moisture wicking and sweat absorbent, keeping your head cool. High Tech Performance fabric allows the headband and wrist bands a soft stretch for the perfect fit and provides a lightweight and comfortable feeling. Great for Fashion or Sports, all hair styles and types, thick or thin. Available in many vibrant colors! FIT: Designed to fit all head sizes, Adult, Teens, Girls, Boys, Women, and Men. One size fits most. WASHABLE VIBRANT COLORS: Kenz Laurenz Stretch Headbands are Machine Washable. DURABLE, SOFT, STRETCHY, SWEAT ABSORBING HEAD SWEATBAND STYLISH to suit your activity, mood or hairstyle. MULTI FUNCTIONAL to be used as a headband, sweatband, wrist band, arm band, head wrap, head band, sweat band. BREATHABLE to provide that soft coolness against the skin. COMFORTABLE to wear for sport or fashion, perfect for everyday wear. NON SLIP to stay put and in place. MOISTURE WICKING to help pull sweat away from the skin and quickly dry. SWEAT ABSORBING to keep the hair and sweat out of your eyes. STRETCH to provide the perfect fit. DURABLE to last a long time. BLANK, these head and wrist bands are perfect for imprinting, custom designing, embroidering, screen printing, embellishing, giveaways, special events, campaigns or party favors. DISCOUNTS AVAILABLE Great for fitness, running, yoga, tennis, golf, cross fit, triathlons, workouts, biking, walking, hiking, swimming, aerobics, cycling, jogging, motorcycling, fishing, martial arts and other activities. Kenz Laurenz Performance Headwear is perfect for all sports teams including Basketball, Baseball, Softball, Football, Volleyball, Soccer, Gymnastics, Cheer, Dance, Lacrosse, Band. Great for Fashion or Sports, all hair styles and types, thick or thin. Available in many vibrant colors! Contact us about Team Discounts, Wholesale, Bulk pricing, Blank Headbands great for embroidering.